Iran is to inform the UN nuclear watchdog in Vienna on Tuesday, June 6, of its decision to increase uranium (UF6) enrichment capacity in response to the US exit from the 2015 nuclear accord. Iran’s Atomic Energy Organization spokesman Behrouz Kamalvandi, announcing this, did not mention a date for this process to begin or the grade of enrichment. 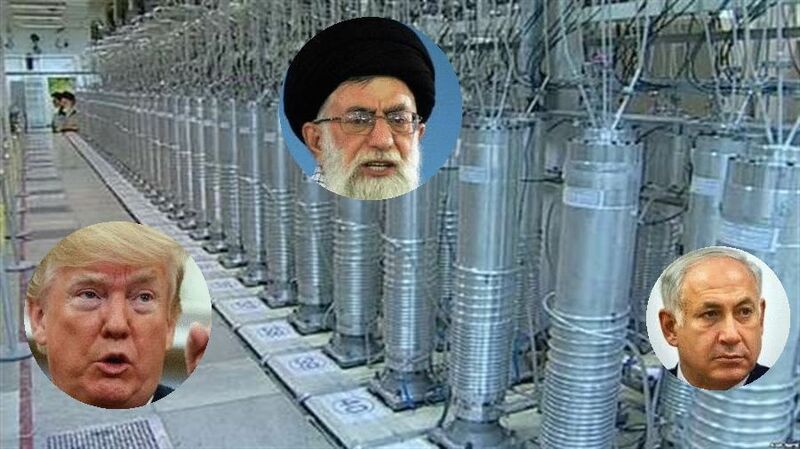 Supreme ruler Ayatollah Khamenei’s said Monday night: “I have ordered Iran’s atomic energy agency to be prepared to upgrade our (uranium) enrichment capacity” if the 2015 nuclear deal with the world powers falls apart after the US withdrawal. Chairman Ali Akhbar Salehi of the atomic organization forecast this development some days ago. DEBKAfile reported on May 24 that if Iran returned to expanded uranium enrichment, the US and Israel would prepare to attack its enrichment facilities and other key nuclear facilities to prevent the Islamic Republic from resuming its progress towards a nuclear weapon capability. Now that Tehran is taking that step, it is up to President Donald Trump to decide on America’s response. His decision will be colored heavily by his fast approaching summit with North Korean leader Kim Jong-un in Singapore on June 12. To convince Kim that he is coming well-armed for demanding the total dismantling of Pyongyang’s nuclear and ballistic programs, Trump may find it necessary to meet Iran’s decision to expand uranium enrichment with a military response. Khamenei’s step gives Trump a very tight timeline for a decision. It was also timed to override the object of Prime Minister Binyamin Netanyahu’s European trip. The European signatories of the deal, Germany, France and the UK have been scrambling to save the nuclear deal by diplomatic efforts to persuade Iran to limit its ballistic missile program and expansionist activities in the Middle East. Khamenei made it clear that the two issues are non-negotiable, as Israel warned them would happen. Netanyahu therefore finds their leaders floundering for their next step. Now the statement by NATO Secretary General Jens Stoltenberg this week that the alliance would not back Israel if it came under attack from Iran comes closer to reality than before. So too, does Khamenei’s decision on May 29, to replace the commander of the Khatam al-Anbiya Air Defense Headquarters Gen. Farzad Ismail, which is in charge of Iran’s air defenses, and appoint his deputy Brig-Gen. Alireza Sabahi Fard as acting commander, after two Israel F-35 stealth fighters flew over Iran’s nuclear facilities and left Iranian air space unnoticed. This entry was posted on June 5, 2018 at 9:42 AM and is filed under Uncategorized. You can subscribe via RSS 2.0 feed to this post's comments. You can skip to the end and leave a response. Pinging is currently not allowed. I pray for the normal good Iranians overthrow their oppressive abusive gov. I think they will need more help then prayers after all w all d good intentions of the normal good Iranian citizens they don’t hv guns or weapons to overthrow the gov. who has all the guns and weapons. Just look at the normal good poor Venezualians, they don’t hv guns or weapons and they can’t overthrow their oppressive gov. which has guns and weapons.